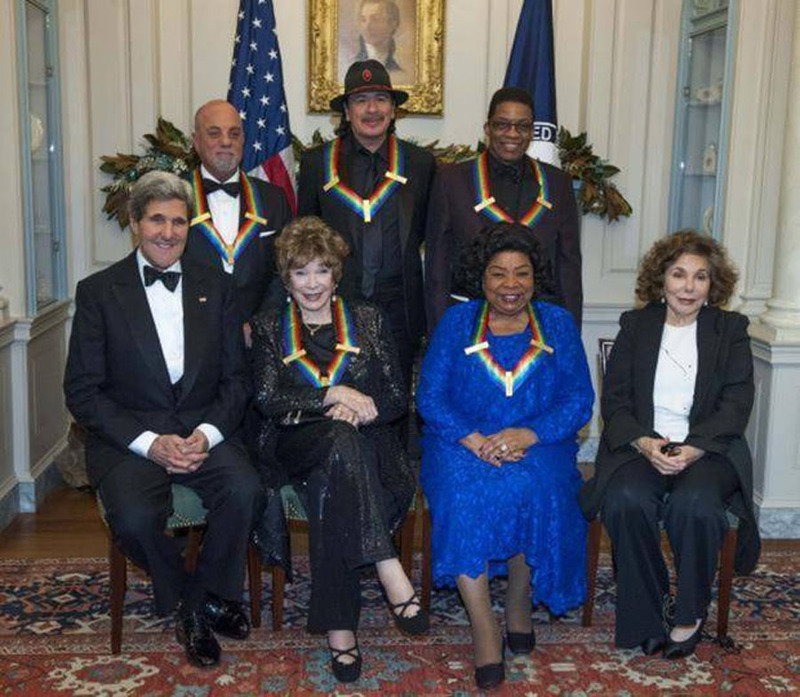 Secretary of State John Kerry, with the 2013 Kennedy Center honorees, from left, seated Shirley MacLain, and Martina Arroyo, along with Teresa Heinz Kerry. Standing are Billy Joel, Carlos Santana, and Herbie Hancock, pose for a photo at the State Department for the Kennedy Center Honors gala dinner on Saturday, Dec. 7, 2013 in Washington. - high-definition photo for free download.